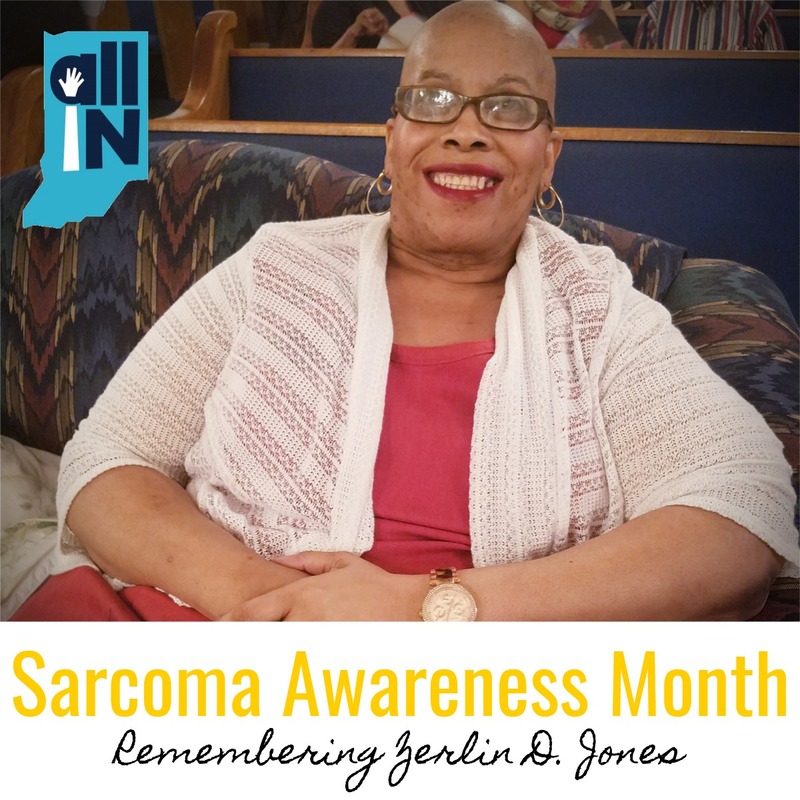 In honor of National Sarcoma Awareness month, Hoosier Author, Kimberly Smith, pays tribute to her mother, Zerlin D. Jones, who recently lost her battle with sarcoma cancer. It was June of 2015. After several trips to Mississippi to visit my mom, I knew I had to have a serious conversation with her about her health. Many observations of her on those visits indicated some concerning problems: she generally did not look healthy in any aspect, and I knew that her weight was a contributing factor. I didn’t like what I saw. My mom shared similar concerns as we talked, and within three weeks, she applied for a leave of absence from her employer to begin her journey back to health at home with me, in Indianapolis, IN. I contacted my friend Eve Guzman, Nutrition Specialist and owner of G-Transformation Fitness, for a meal plan and workout guide for my mom. Her weight loss journey was underway, but there was a lot of work to do. Between July 2015 and September 2015, my mom lost a total of 42 pounds. I was so proud of her and she was equally proud of herself. After this success, she returned to Mississippi, when she noticed something strange. Although she was losing weight, her right leg seemed slightly larger than her left. Her first thought was that she was retaining extra fluid, so she scheduled an appointment with her primary care physician. A CT scan was scheduled, and we soon knew that it wasn’t fluid. A few short weeks later, in November 2015, we received the devastating news that my mom had stage II sarcoma cancer. The tumor was located in her right thigh and measured 18.1 x 9.3 x 11.4 cm upon diagnosis. This type of tumor, leiomyosarcoma, is one of over 50 types of soft tissue sarcomas and is usually found in smooth muscle such as the uterus, abdomen or large blood vessels. As heartbreaking as this diagnosis was for my mom and our family, we prepared ourselves for what would be the fight for my mom’s life. The following month, treatments started. Due to the overwhelmingly large size of the tumor at the time of diagnosis, surgery to remove it was not an option. A few days after Christmas that same year, my mom started chemotherapy. We both were afraid of the unknowns. 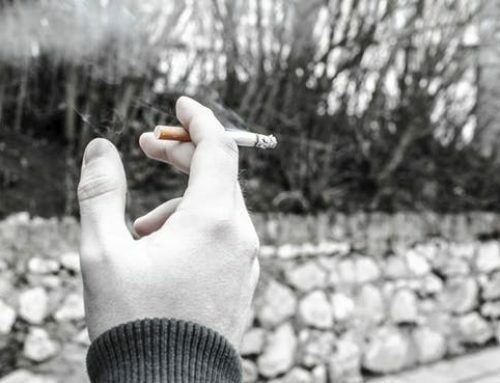 There just wasn’t enough information about the treatment of this rare cancer to ease our minds. We were afraid of the side effects of chemotherapy. We were afraid it wouldn’t work. Thankfully, our fears were relieved somewhat: chemo side effects were minimal, causing my mom’s hair to fall out, and some swelling which limited her mobility. After several rounds of chemo treatments, we were still hopeful that the tumor was shrinking, so that it could eventually be removed. Another CT scan was ordered to assess progress – of either the chemotherapy, or the tumor. Unfortunately, we received heartbreaking news. On February 1, 2016, the results of the scan revealed that the chemo was not successful, and the cancer had progressed to stage IV sarcoma cancer, with metastasis to her lungs. We were distraught. 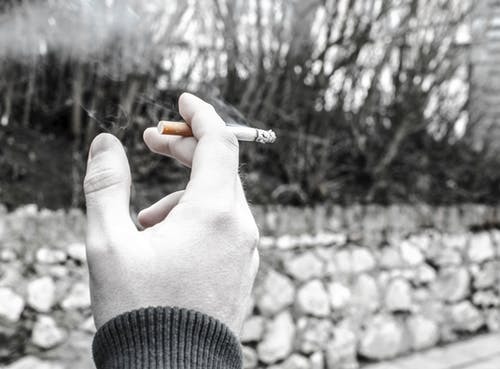 It was difficult to understand how this cancer had progressed so quickly. We were instantly aware of the aggressiveness of this rare disease. The spread of the cancer to her lungs was minimal at that time, so with the advice of her medical team, we agreed to try radiation therapy on the original tumor, hopeful that it would destroy the cancer cells in her thigh and while protecting her other organs. If the radiation therapy was successful, the focus would shift back to the small cancer cells developing on her lungs as a result of the metastasis. Much to our dismay, the radiation therapy was not successful. Her medical team refocused their efforts on the cancer cells developing on her lungs until they could develop a new plan to attack the tumor in her thigh. 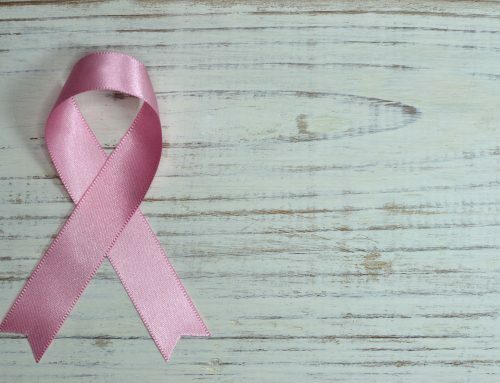 After the completion of radiation therapy, her surgical oncologist presented us with another treatment option for the primary tumor. It was risky, with no guarantee of success. I knew my mom was a fighter, so it did not surprise me that she wanted to keep trying to beat this disease. The new treatment was called radio frequency ablation, or RFA, a minimally invasive attempt to burn the tumor. Heartbreakingly for us, it proved to be yet another unsuccessful attempt to destroy the tumor. 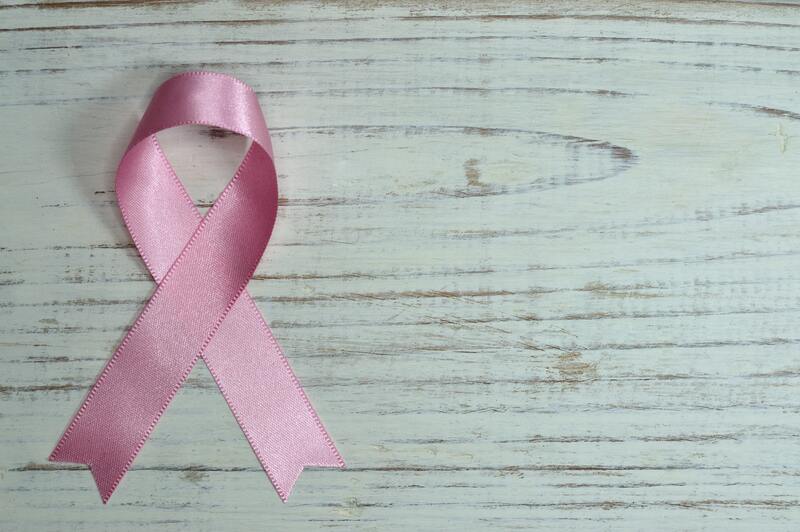 I am acutely aware of the importance in early detection and how the stage at diagnosis impacts treatment options as well as the course of those treatments. Throughout these treatment options, many patients can undergo clinical trials, providing another avenue in the hope of beating cancer. By September 2017, my mom had lost all mobility and her lungs were severely compromised. Her medical team had exhausted all treatment options. There was nothing else they could do. The fluid that had accumulated on her lungs was drained and she was placed in hospice care. Shortly thereafter, on October 19, 2017, my mom, Zerlin D. Jones, known affectionately as “Red” to her family and friends, passed away at the young age of 54, from sarcoma cancer. My mom fought this disease with strength, laughter, dignity, and grace at each turn. I hope that people are encouraged to get involved with All IN for Health, to learn about medical research, and to discover more about clinical trials, in an effort to know how even you can help save lives. My mom’s fight with this terrible disease, and eventually her death, has increased my awareness of medical research and how vital it is in finding a cure to diseases currently classified as rare and/or incurable. I am acutely aware of the importance in early detection and how the stage at diagnosis impacts treatment options as well as the course of those treatments. Throughout these treatment options, many patients can undergo clinical trials, providing another avenue in the hope of beating cancer. Unfortunately, due to the severity of my mom’s cancer and the complications from the metastasis, she was not eligible for such clinical trials. 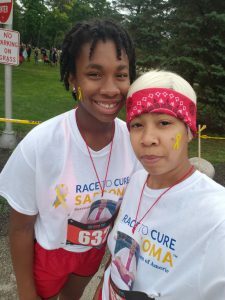 Kim and her oldest daughter, Kyndal, participated in the Race for the Cure Sarcoma 5k this past month. In memory of our mother and grandmother this past July, my daughter and I participated in the Race to Cure Sarcoma, in Oconomowoc, Wisconsin. She would have been celebrating her 55th birthday. The race was sponsored by the Sarcoma Foundation of America raising more than $78,000 for this worthy cause. This 5K was important, not just because it was in support of finding a cure for this awful disease, but also because if she had never been diagnosed, my mom would have been participating in a 5K this year. When she started her weight loss journey in 2015 and after her granddaughter and I ran the 5K Glow Race, she told me she was going to walk with us in 2018. And so, on race day, with a picture of her around our necks, my mom ran with us. You did it Mama! You didn’t just walk a 5K, you ran it! I wanted to share my mom’s story in honor of Sarcoma Cancer Awareness Month, in hopes that it will increase awareness of this rare and devastating disease. I hope that people are encouraged to get involved with All IN for Health, to learn about medical research, and to discover more about clinical trials, in an effort to know how even you can help save lives. 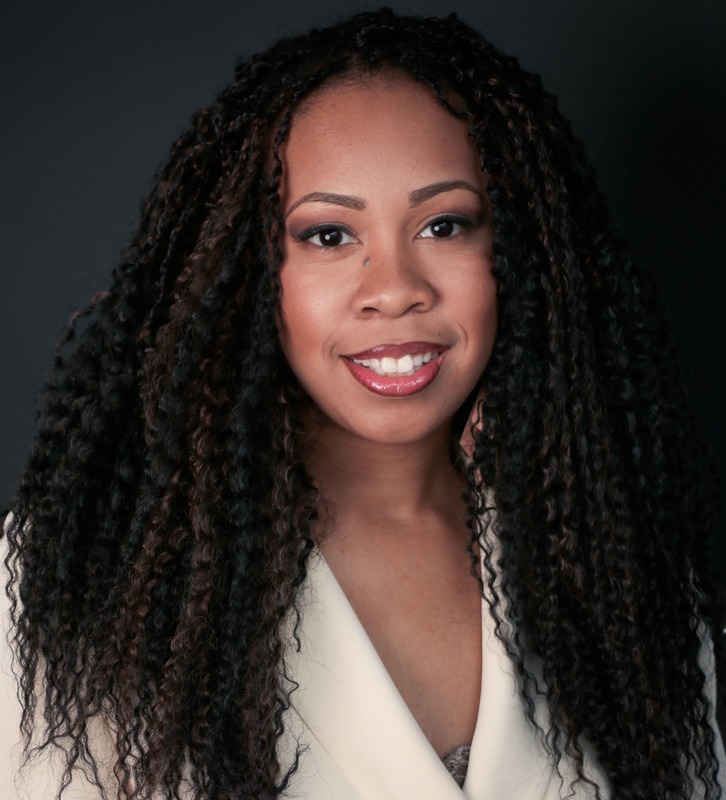 Kimberly Smith is a local children’s book author and founder of Peppermint Publishing. She resides in Indianapolis, IN with her husband, Sherwin Smith Jr., and their three children, Kyndal, Saniya, and Sherwin III. 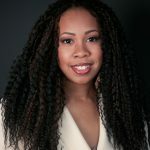 To learn more about her children’s books, visit www.peppermintpb.com. You may also follow Peppermint Publishing on Facebook or Instagram. What is clinical research and why is it so important? Why should I participate in health research or a clinical trial? Do I have to be sick to participate in health research? What kinds of questions should I ask before participating? Join over 6,400 other Hoosiers who are All IN for Health research volunteers! Click HERE to register. 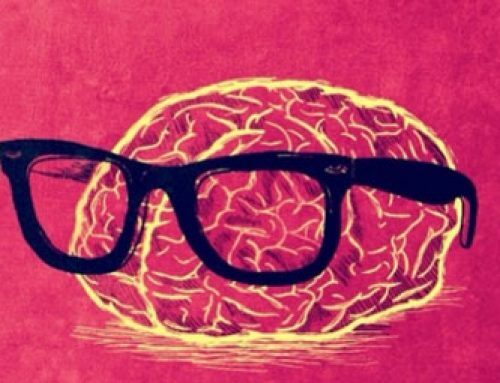 Study matching occurs on an irregular basis. Even if you are matched to a study you may not meet all eligibility criteria and you may refuse to participate. Participation in each study voluntary. You may also contact our team for assistance looking for a particular study or clinical trial and we will assist you.